DIY Nails: Tips & Tutorials: Perfect Summer Pink! 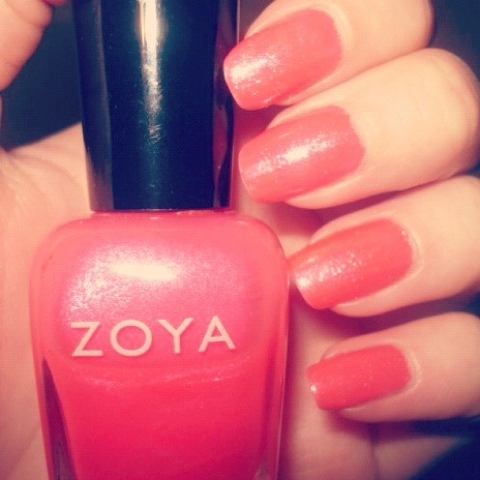 Zoya's "Bijou". It's alot brighter than how it looks in the picture. It's like a light hot pink, and it is one of my all time favorites! You have to use a few coats, but the end result is pretty, kinda translucent, shimmery pink nails! Try this colour for fun, bright, and sparkly summer nails! When In Doubt, Add Some Sparkle! Not all polishes are going to look good..